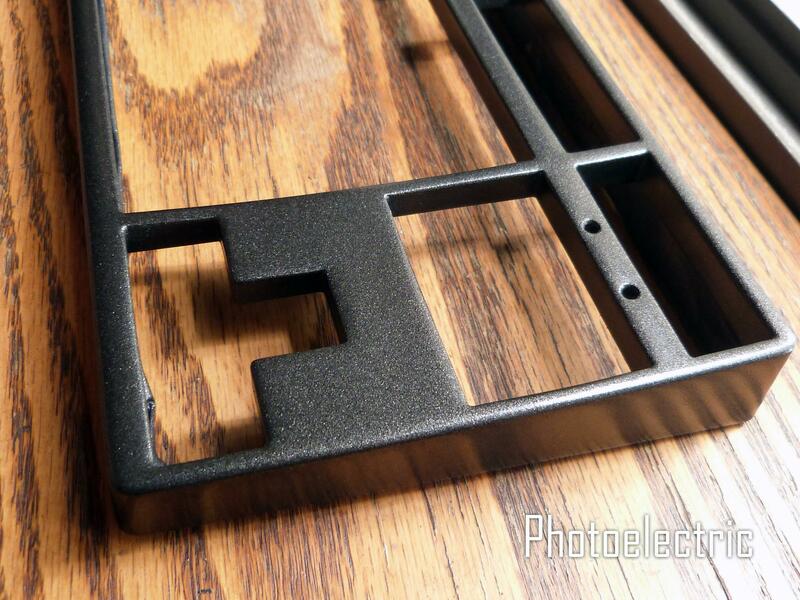 So using those "anodizing" effect semi-clears (like DupliColor MetalCast) over darker silver--not light silver--results in a kind of a neat darker muddied color. 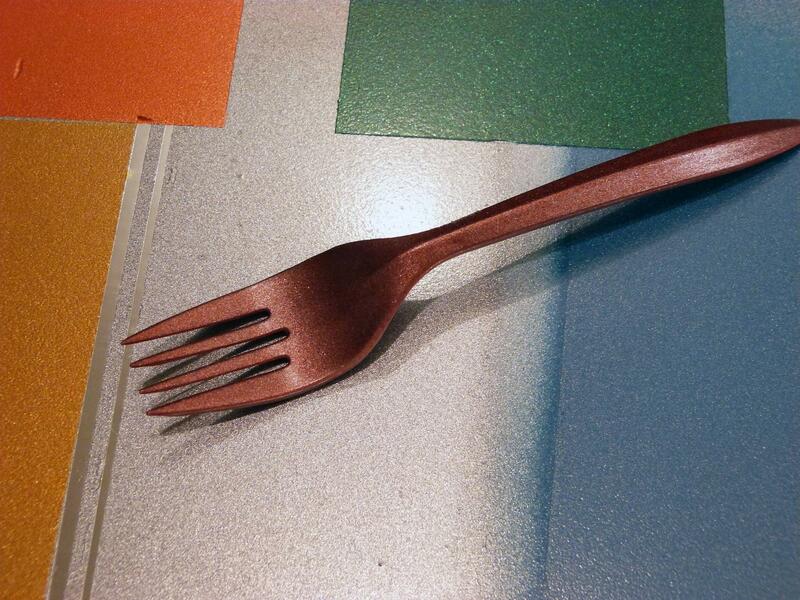 This is DupliColor MetalCast in Red over Rust-Oleum Universal in Dark Steel (a darker silver, the exact shade is under the fork). I didn't do enough coats to get a full-on dark red, as I liked the half-way effect. It looks like pale brick red from some angles and actual anodized pink from other angles, depending on lighting. 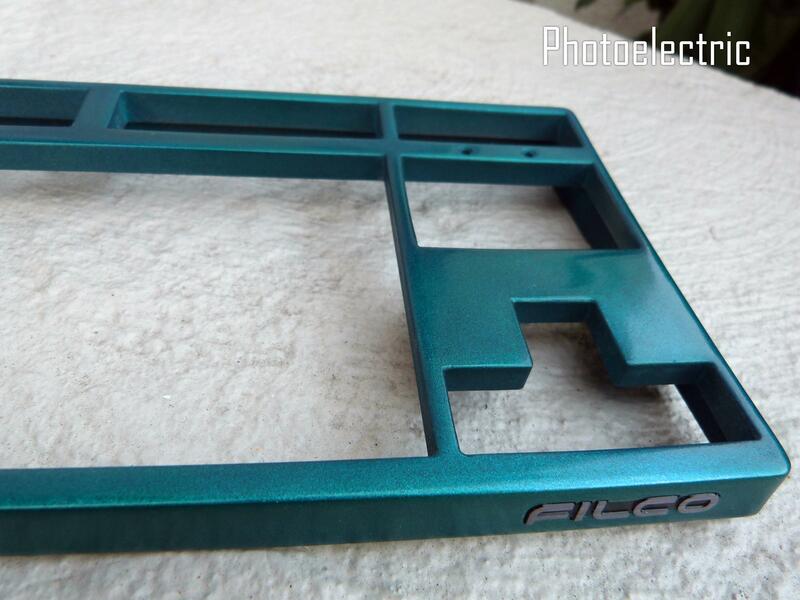 So now I'm thinking I'll get green and blue and do another shot at "sea blue" for my Filco case. Another shot at "sea green", which is a mix of blue and green with a silver base here. 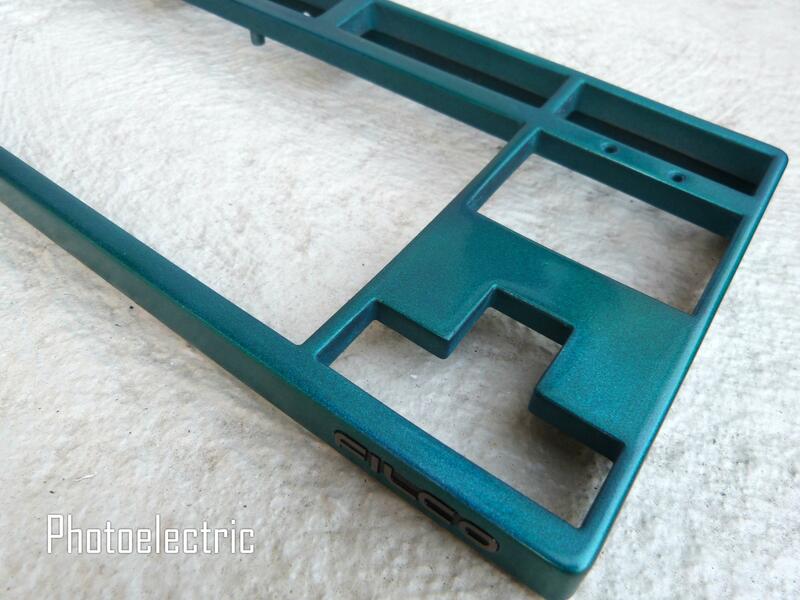 DupliColor MetalCast in Blue and Green layered together. I think I'll stick with this. Needs sanding and a clear coat still. Looks good! I really like how well it blends with the switches. What caps are you thinking on this beauty? That looks really good! 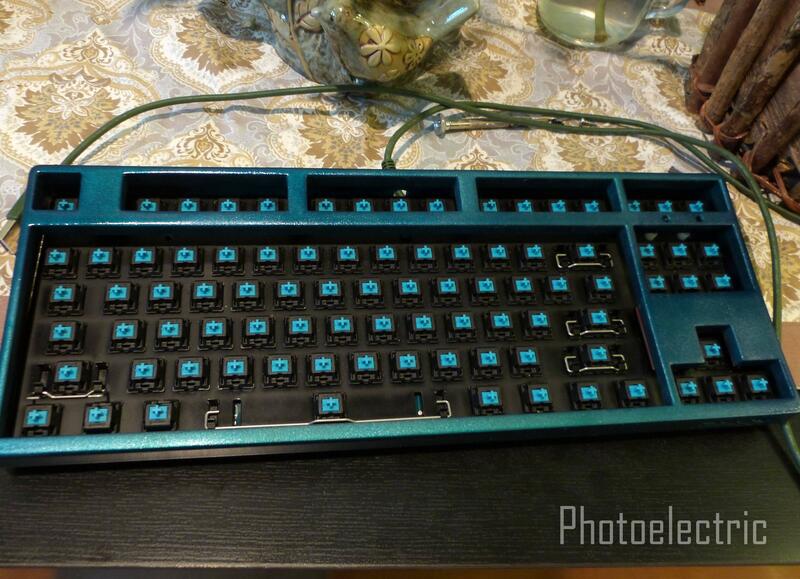 Since I decided not to sell my Ducky keyboard I am thinking that I might end up painting it a different color. Thanks--I quite like how it came out! Gradients of blue and green over silver, so the color shifts slightly in places. Just like sea water with some foam It's been my favorite color range since my visits to the Black Sea in my childhood. Eventually, Lysol's US ANSI Green dye sub PBT set for this one, and the Ural ANSI (orange/charcoal) for the Copper Filco. Looks better and better the more I look at it. For some reason I want to make a purple flake keyboard, about the same color of the old Chargers. If I had that top cover... I would easily be convinced to keep my Filco. Awesome work on these. I'll be watching this forum for when I start my painting. I've already tried the Krylon Fusion and I've found that it is quite thick and doesn't spray even (I'm not an expert spray painter though). Thanks for the advise on paints. Not a big fan of Krylon, but how were you spraying from that can? You need to keep the can at least 8" away from the surface, I'd even do 10", and go in quick sweeping motion left to right or similar. Somewhat like misting it on. Not completely misting, but almost. You don't want to spray too closely or linger over any particular spot, or you'll get a pool of wet paint, which is bad. It's better to go over the keyboard many times with thin layers, waiting a couple minutes between each layer. You'll get an even coverage without runny / difficult to dry areas that will look uneven. I think the "spending to much time on an area" is what got me the first couple of times. I'm sure with more practice I will start to get it down. I wanted to try Krylon more for some of the textured blacks they have but I'll give some of the stuff you've done a try next and see how it works out. Think I'm going to pick some paint up tomorrow and give this a go on my ducky case. Any Rust-oleum colors you recommend? Nope! Go with what you like! But if you'd like, post what you get, and maybe I've used that series for tips. Edit: if you want something easy, go with the Painter's Touch line. Sticks to plastic, really nice smooth coverage. oh i just ruined my first paint job! everything went fine until sanding the clear coat to buff the paint up. ill try again on another board! not giving up yet. 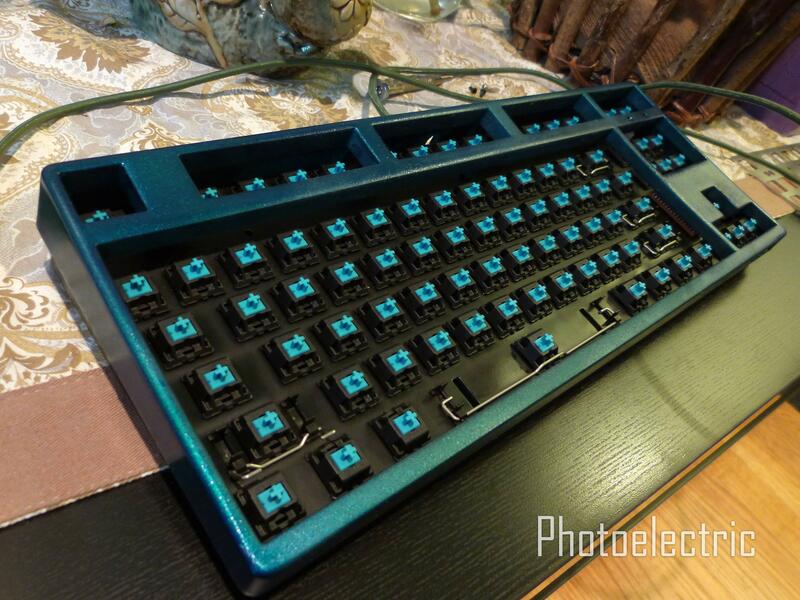 Photoelectric -- if you wanted to re-paint a keyboard, do you just layer on top of it, or do you remove the previous paint job? i think you have to sand out the paint before. she mentioned it somewhere before as well. Sand small sections, avoiding going over corners as much as possible, since they are easy to sand off, and you can just even them out last. I often rip off small pieces of sandpaper to go over localized small areas, trying to sand flat surfaces and avoid curved areas. (I would normally flood the area I work on with water for this. You can even add a little but of mild liquid soap, but be prepared to pause frequently, wash off, and re-check your progress. It's better to end up a bit uneven than to sand off too much and mess up the whole look). After sand paper, you should get a cutting / rubbing compound and use a special sponge or even cotton balls. The surface WILL look dull after sanding and almost good after a rubbing compound. Rubbing compounds are less abrasive than 2000 grit sandpaper, but still abrasive enough that they could rub through the clear coat and more if you rub a spot too much. These are what I use. 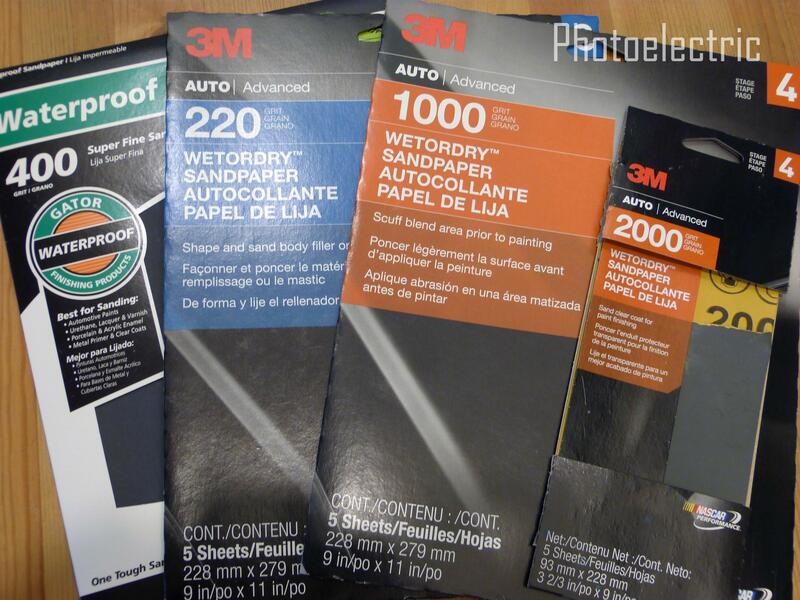 3M also has some good stuff. 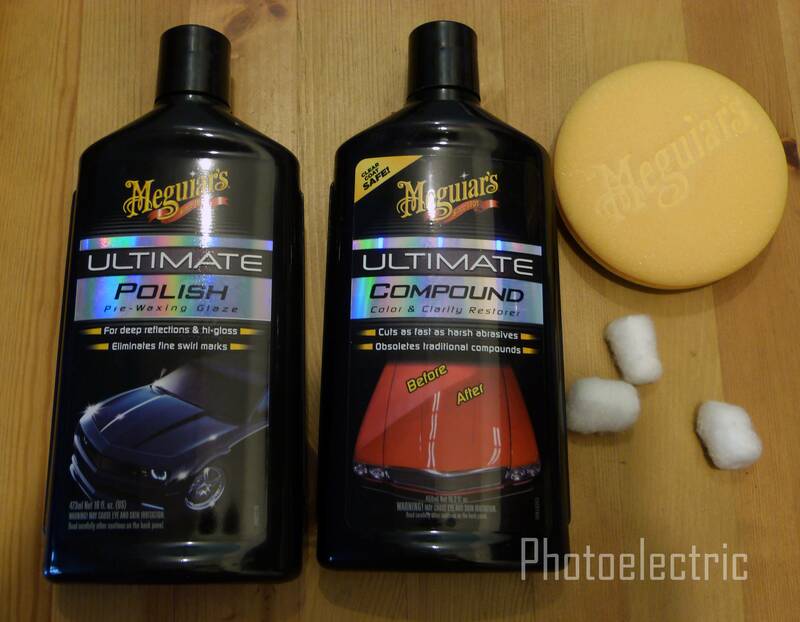 Automotive people love Meguiar's compounds #205 and #105 for this, but they are very expensive in comparison, and the job gets done fine with the above. I wash a cover I work on with lukewarm soapy water and pat dry with a paper towel to inspect if more sanding / rubbing needs to be done. Usually no more sanding after I start using the rubbing compound--just more rubbing. Finish with a polishing compound once you are satisfied with the smoothness / can't remove any more because it will affect your paint. Don't forget that doing a lot of sanding / polishing will not turn your keyboard cover into a car-like mirrored surface--you risk removing too much paint and clear coat and end up with an uneven looking cover. Just do the best you can and stop when you can't remove any more. You need a thick clear coat to do a lot of sanding, which is tricky in itself, because applying too much clear coat can turn it milky and make the surface look dull. Now, to answer Mashby and you, you can definitely repaint the same cover. But sand as much of the previous paint off as you can. It does not need to be all of it, but definitely at least the clear coat. 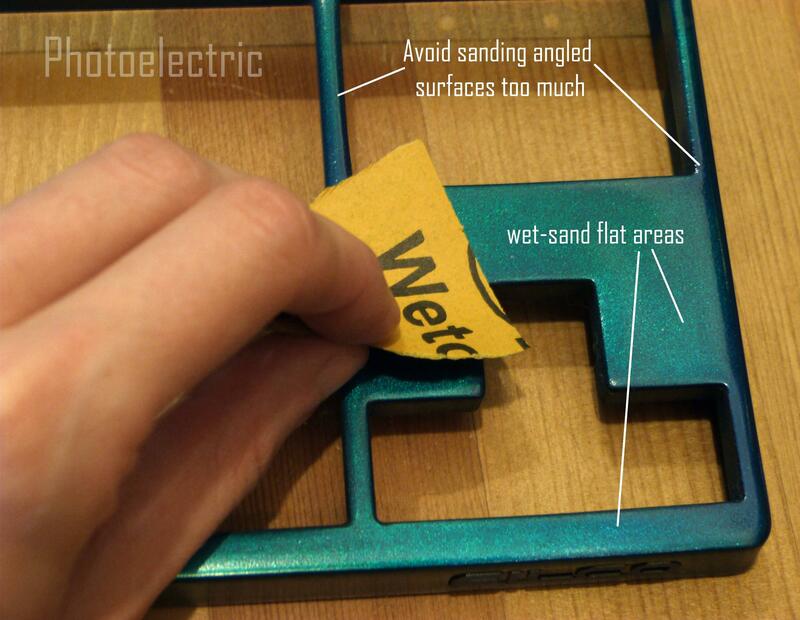 Good quality 200 grit sandpaper will help you (also use wet to lessen abrasion) but watch out for angles and corners--they will sand Very easily. Once you've sanded off enough, go over the keyboard cover with a finer sandpaper, like 400 or 600 grit, and make sure it's smooth everywhere. Then you can paint over it as before! ( Just wait to sand and reprint until the previous paint dries well). 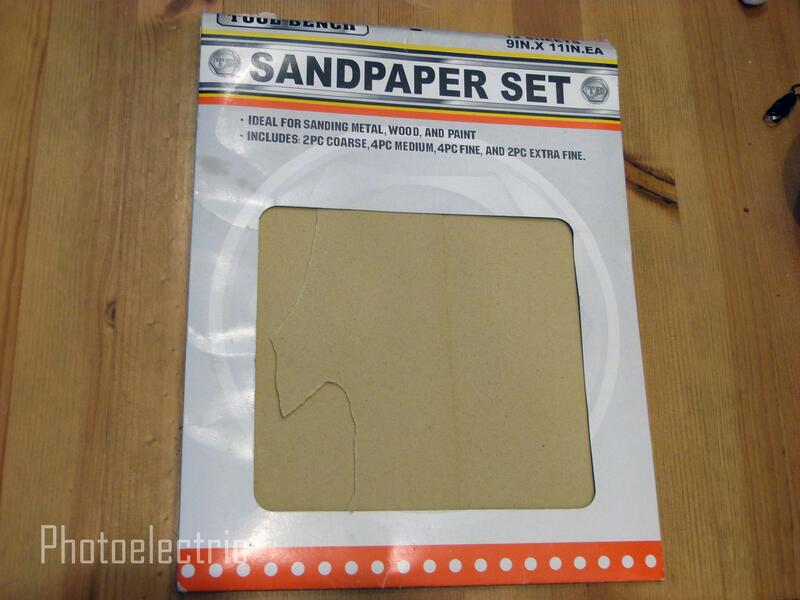 I dip the whole sand paper into water, so i reckon it was wet enough. I suspect I didnt coat it enough, 4 coats i did, but i think they were very thing coats. but most importantly not that im looking for an excuse, but the case i was painting (KBTalking Pro, bluetooth one), wasnt ideal with so many angles and edges rather than flat like filcos... it was sort of difficult to get even coating (considering it was my first time). No 4 coats sound like enough, but if you really want a glass-finish, you need thicker layers. If you do a thin overall layer, you just can't sand it for a long time. At most very light-touch brief sanding. I'm updating my previous post with photos now, should be a few minutes. I will paint my keyboard soon. Good luck! Don't forget to practice on scrap stuff first. Wow great work and nice choice of colors! Very informative as well. Thanks for sharing. We use neon orange and neon green paint at work all the time but I doubt you would want to paint a keyboard with it. Random thought: What if you used a fluorescent paint? I like the way she thinks. I've got two more cases that could use a good fluorescent orange or green. Yeah, there are definitely fluorescent bright paints by various brands. I've not looked into how durable they are--they might be the same enamel type. 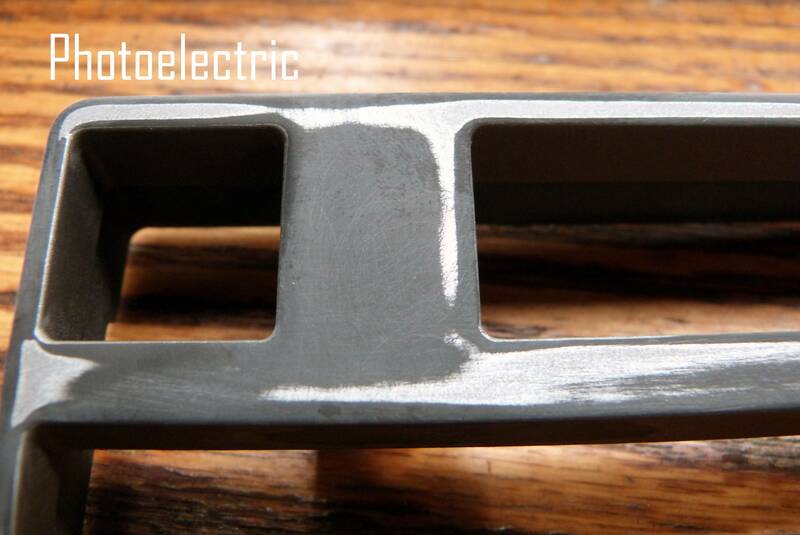 Hi Photoelectric, thank you so much for more pictures regarding the sand papers and the polishing compounds. I will definitely try again next time. the last one has so many edges, I will try with a G80-3000 cast next time. thank you so much again you are so inspiring! another thing though, this might sound like a really dumb question but since im in Switzerland and most of the stuff arent written in English, so I dont really understand most of the descriptions. but anyhow at the supply store, there are spray paints at the car section and the hobby section, would you reckon to go to the car section and buy stuff from there? like the primer, coats and clear coats etc, since you use car polish i assume it would be a better idea to buy everything for paiting cars? and how long do you spend polishing the case? I've been to Switzerland (Zurich and some tours around), and I can appreciate how different things are there and Europe in general. Yeah, for the fear of craft store paint being less durable / having lower quality nozzles, I would buy supplies from automotive supply shops. 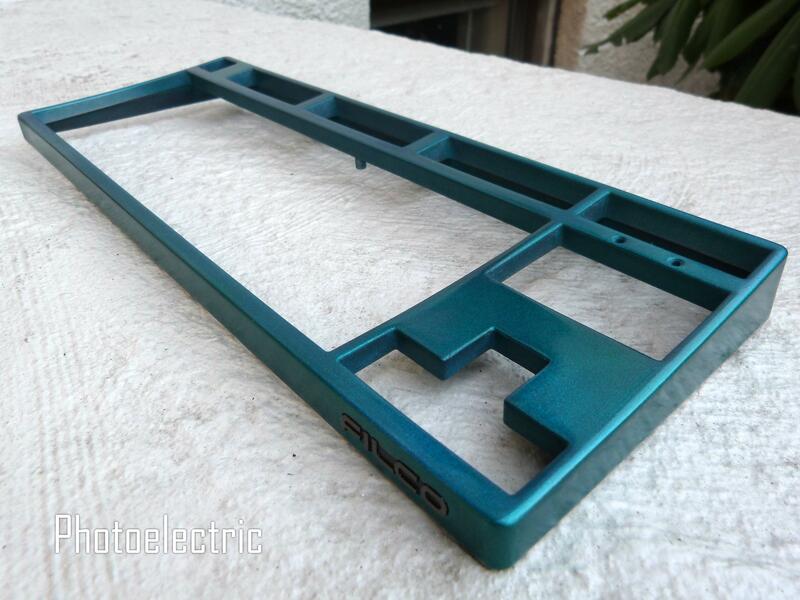 They should have higher quality sandpaper, good quality rubbing and polishing compounds, and good quality paint. Keep an eye on what solvents the paints use. For example, don't put an acrylic clear coat over oil enamel--it will dissolve the enamel. But you can put an enamel clear coat over acrylic base coat. The general rule is to mix like with like, so acrylic paint + acrylic clear coat, or enamel paint + enamel (oil) clear coat. As for how long you should polish, there's no right answer. You won't get a perfect finish anyway, because you're limited by spray cans and lots of curves on your keyboard case (plus lack of experience--that even goes for me vs. professional car painters), so just do what you think looks good and don't worry about it too much. The more clear coat you put on, the thicker the clear layer is, and the more you can sand off with very fine sandpaper (2000-grit) to smooth out the surface to mirror shine. Problem is that too much clear coat can be bad: if you spray too much and too soon, it can turn milky, can become dull, or can even give your paint a yellow shade (depends on clear coat, some are better quality and resist yellowing better, but nonetheless, if you spray too thick, most likely you will see the yellowing). 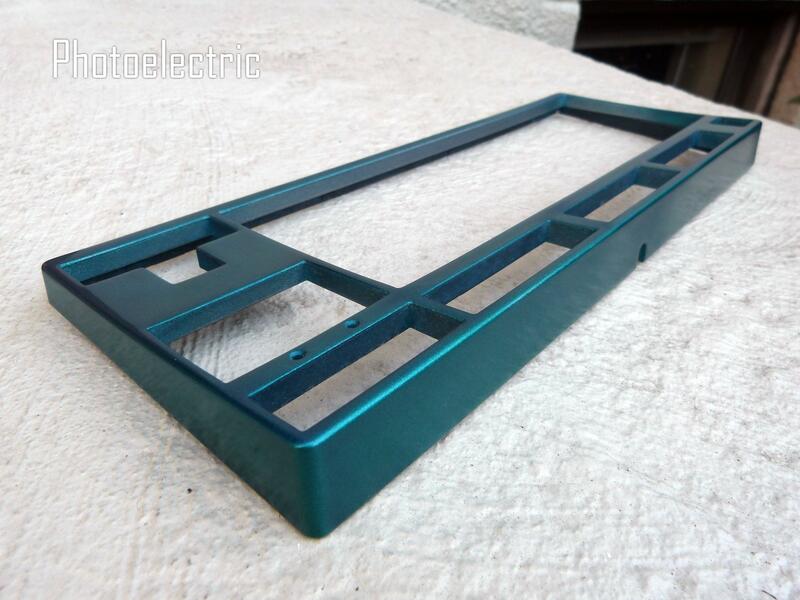 For computer cases, you can safely do multiple thicker clear coats and sand them later, as surfaces are generally flat and extended, which makes polishing easier. 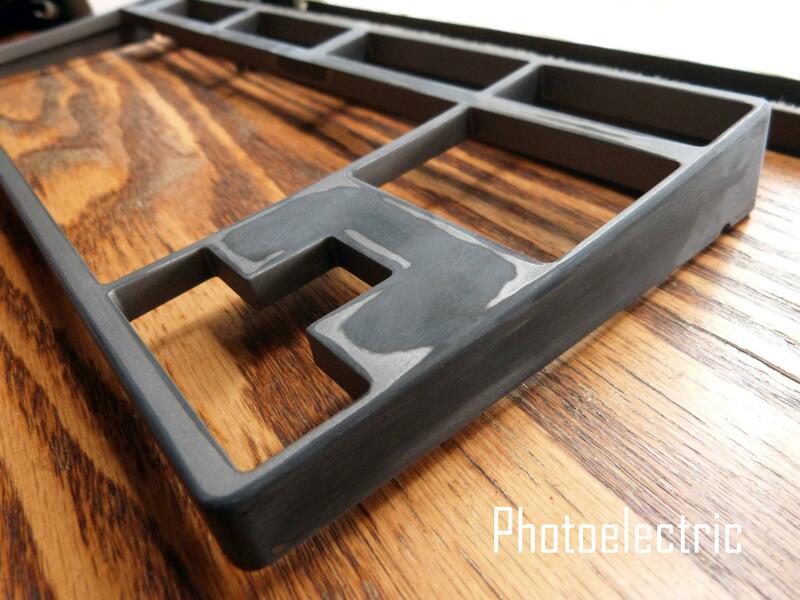 For keyboards, I'd stick with a few thin layers of clear coat. There's a difference between a wet shine look from a thinner clear coat and a wet shine look from a too-thick clear coat where you spray too much at once, and the paint is all runny. As you practice, you will get a feel for "too much" for a single layer. 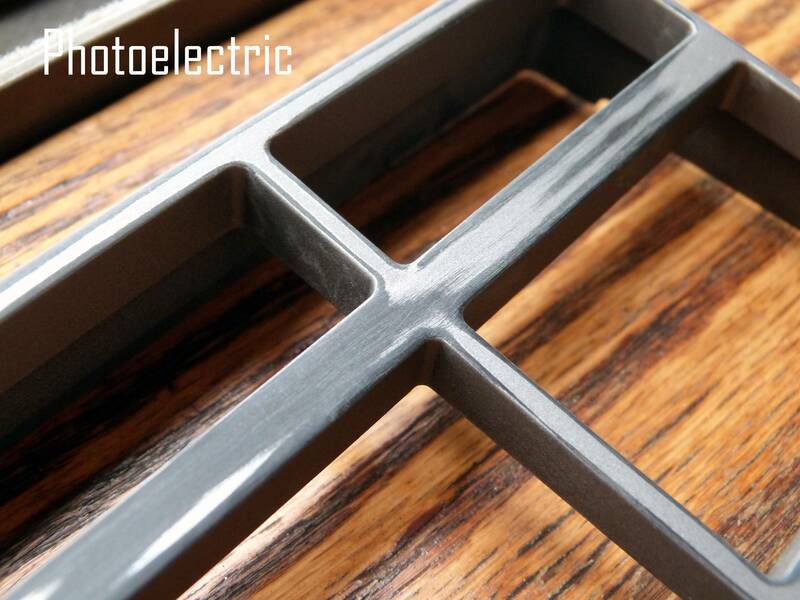 Remember that you don't want too much paint in total, as it will inhibit the curing process. If there is very little clear coat, I only go very lightly with 2000-grit sandpaper in a circular motion, applying very little pressure and keeping the surface completely wet with water--just enough to get rid of the roughness, and then use polishing compounds. That means that the surface will still have some of that "orange peel" texture to it. Which is not necessarily a bad thing--it can suit a particular look. Sometimes I'd do just a fine couple layers of matte clear coat, in which case I don't really polish much at all. And sometimes I'll use more clear coat and polish longer for a more mirrored look. Just stop often, wipe your surface, and make sure you don't over-sand / over-polish. It's very easy to eat through the clear coat and onto the base paint, which can actually make it much worse. 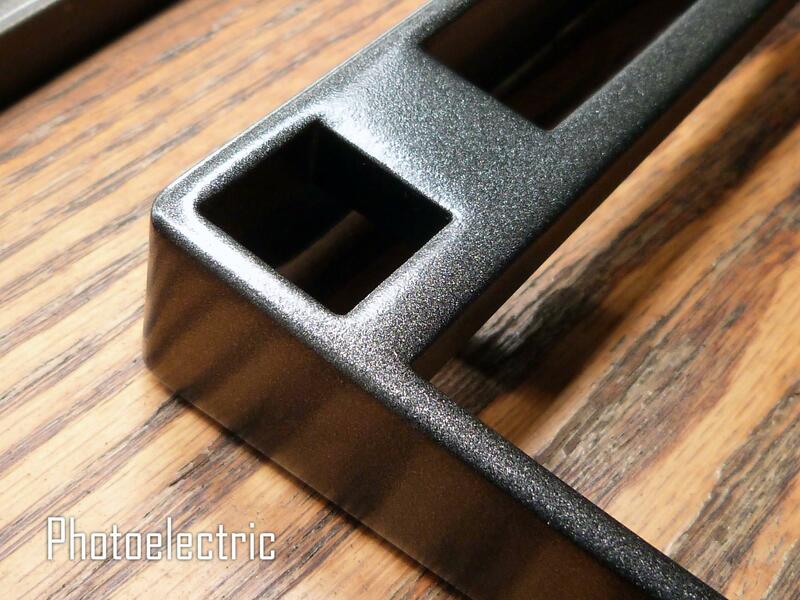 For example, if you use metallic paint, if you sand the paint under the clear coat, you will sand off the color part, leaving a lot of the metal flake, so that spot can look more dull and more silver (or whatever the sparkle component color). That goes for any paint that is not a single uniform color throughout. It's better to leave the surface a bit rough and deal with it than end up with blotchy color variation, because fixing that later will be near-impossible, unless you redo the whole thing. oh thanks for the tips, I feel like the best bet now is to get very fine sand papers, finer than 1200grit at least, that should reduce the risk of scrubbing off the clear coat too fast. Yes, if you do a thin layer of clear coat, I wouldn't go below 2000-grit, and never sand dry surface--always wet the surface really well. I sand next to a sink with running water and rinse frequently to inspect the progress. I don't know if you can tell from the photos, but the coating is very thin. The shinier silver parts are the original surface. Has anyone ever just stripped it down and used the original surface?? Just out of curiosity. Do you mean not stripped it down, painting over the rubbery coating? Confused by the wording. That would probably be okay, but I have no idea how the paint will react with that coating in terms of long-term durability. And if the rubbery coating is too soft for the hard enamel over it in terms of susceptibility to dents. I just sand it off, because it doesn't take long. Sorry, I meant if you completely strip the top down to the original bare surface and use it that way, is it silver-ish? No, the plastic is black. Silver bits are the remnants of the top coat which has that rubbery texture. So because my "Sea Green" theme had to be scrapped due to me having to sell one of my keyboards with MX Browns (had 2... one just sitting in a box), I realized that the green theme was not going to be everyone's cup of tea. Plus it didn't really jive with the white plate that well. It's been irking me for a while, and I finally repainted it. It can look gunmetal silver or sparkly black depending on lighting. I love that paint (Rust-Oleum Black Night Metallic) and have had it on my Logitech MX518 mouse for quite some time, as the stock paint started to wear off after years of use. Plus it goes very smooth. Really great paint. how many layers of paint and clear coat did you apply? Wow, that's gorgeous. Great job! 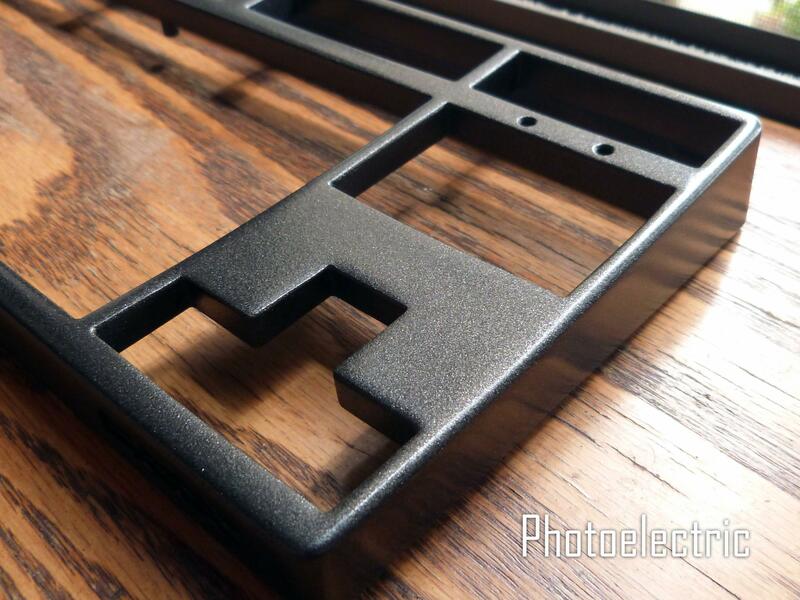 For this, I sanded most of the previous paint, did 3 very fine layers of the black metallic paint and one final thick layer of it. No clear coat here. It's not always necessary, and in this case, I like the satiny finish of this paint. I have a gloss clear coat over my mouse, which made it very, well, glossy after polishing. I think the dark-colored keyboard will look better with less glare coming from the screen when it has a satin finish. I've not yet found a matte or satin clear coat that looks good. And polishing those results in a smooth surface and gloss. It's likely due to the limitation of spray cans--even matte clear coat sprays with bits of gloss. If I had fancier spraying equipment, matte / satin clear coats would be nice. really beautiful .. you're technically very gifted ..
Is it still durable even without clear coat? It's a keyboard, it's not a car! I totally saw that question coming judging by your previous post. Unless you plan to jab stuff into it all the time or carry it in your bag daily... then even the clear coat will get scratched. Sure it's quite durable. You will easily scratched anodized aluminum cases if you're not careful. Durability is a relative term. P.S. : My pink Filco came to me a bit scuffed up on the sides from its original owner. I can tell that the pink is not really durable at all as far as if I had to carry the keyboard around--and that's Filco factory finish. Oil paint is a LOT more durable than that if done properly.